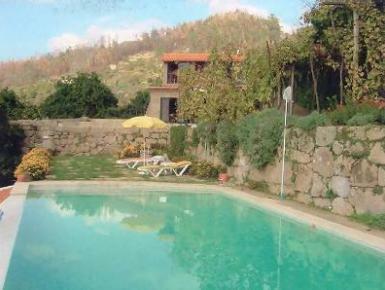 Property is a typical house of the Douro Valley region, located in the village of Porto Manso, Ribadouro. Located on the banks of the Douro river, in a very quiet area, guests can enjoy the local natural beauties by walking the surroundings. The 2-storey house consists of 2 bedrooms (both with ensuite bathroom), living room with satellite TV, couch and kitchenette (with wash machine). This house is located on the grounds of Casa da Torre, and guests have access to a nearby shared swimming pool, with magnificent views over the river.